With the ever increasing development of technology, we see the teaching of computing as vital in order to fully prepare our pupils for their future lives. At Ormsgill, we follow the National Curriculum and focus on the three key areas; Computer Science, Information Technology and Digital Literacy. 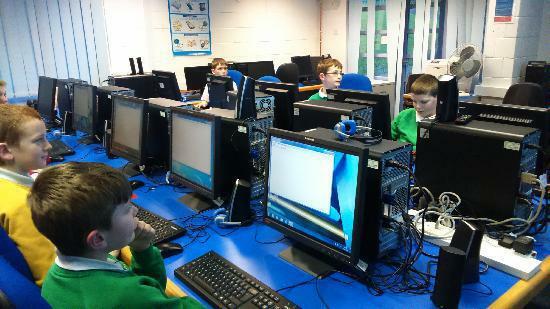 The use of technology is embedded throughout the curriculum and children have many opportunities to develop their skills. We benefit from a well-resourced computer suite, 32 iPads, computers in each class and Windows Tablets all allowing pupils the chance to experience different types of technology throughout their time at Ormsgill.